Something intriguing many people at the moment is news of a Mozilla Firefox-powered smartphone as the idea of something completely new in the way of devices and operating systems always gets people talking. There are many people out there thinking that Mozilla is about to launch a new phone running a Firefox mobile operating system but this is not the case. 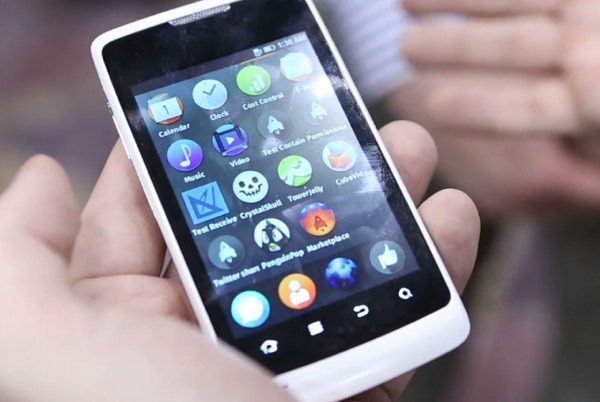 Mozilla is launching the Firefox OS but not the hardware and reports say that the first hardware itself will come from ZTE. An unidentified phone running the Firefox mobile operating system showed up at CES but Mozilla reps weren’t giving too much away about the branding and features. Mozilla, more usually known for its web browser, has partnered with Telefonica, Qualcomm and others and the Firefox OS, powered by HTML5, is due to launch this year. The ‘mystery’ device had an ARM v6 processor and 256MB of RAM and although the OS seemed to be speedy and responsive on initial sighting, there wasn’t enough opportunity to get a really good look at the pretty basic device. The Mozilla Firefox Mobile OS is to be targeted at emerging markets initially and you can see the low-end ‘mystery’ phone in the video below this story, which will give you some idea of the device and also the OS. Now Bloomberg reports that the chief executive officer of ZTE US, Cheng Lixin, says a phone running the new Firefox OS will be released in Europe this year. ZTE is the second largest phone manufacturer in China and Cheng also stated that a phone running the Firefox mobile OS may also be introduced to the US this year. New cheaper, low-end smartphones using Firefox as an OS will lessen ZTE’s dependence on the Android platform. As well as this they could also provide new competition against the dominance of Google’s Android. A report from Strategy Analytics states the possibility that ZTE and Mozilla could attain around 1% of the smartphone market this year and it will certainly be an interesting few months ahead to see if this is indeed achievable. Let us know what you think of this news. Are you interested to see what a Firefox mobile OS will offer? Is there any real chance that low-end phones running Firefox could impact the success of Android in any significant way? Send us your comments on this.